He was addressing the media concerning the ability to sign all the young guns on his roster. He’s got a roster filled with players approaching restricted free agency – Auston Matthews, Mitch Marner, Kasperi Kapanen, Andreas Johnsson, and Josh Leivo, just to name a few. Not to mention those headed for free agency at the end of the season, in Ron Hainsey and Jake Gardiner. Today, Dubas still may believe he can, but he has not. Training camp has ended. The preseason has started. And restricted free agent William Nylander still isn’t signed. More so, Dubas and Lewis Gross, Nylander’s agent, aren’t even sitting down at a table, let alone even talking. It’s hard to hammer out a deal when there’s no dialogue or communication of any sort between the two parties. Dialogue between TOR and RFA F William Nylander is ongoing but I don’t get any real sense that a deal is a imminent. Relatively early in the process, though. Pressure point(s) don’t really kick in for another week to 10 days. The 22-year-old winger had 61 points in the final season of a three-year, entry-level contract he signed Aug. 18, 2014, after he was the No. 8 pick in the 2014 NHL Draft. Much of the hockey world is waiting anxiously to see how the young GM manages the situation that he so confidently said that he can address. Nylander’s contract is a key domino in the Dubas-planned budget. He needs to deftly handle several elite players demanding and deserving of massive contracts. There’s a significant gap between what Dubas wants to offer and what Nylander is willing to accept. Inflated salary numbers included $8.5 million per season. Dubas is reported to be sticking to $6 million annually. $2.5 million is more than just spare change between friends, especially when the cap is a persistent and ever-present migraine initiator. While well paid, it’s likely that Morgan Rielly and Nazem Kadri left some money on the table for the greater good of the team. Even John Tavares, who inked a seven-year, $77 million deal, could’ve likely banked more elsewhere. For the Leafs, the most common comparables for Nylander include David Pastrnak, Dylan Larkin, and Nikolaj Ehlers, who was drafted one slot after Nylander. Nylander has tallied 135 points in 185 NHL regular season games. The most relevant statistics cover his last two seasons and act as a harbinger of things to come – 122 points, 389 shots, and a plus-17 rating. And there is every reason to think that as he matures, plays with more gifted offensive players, and sees more power play minutes, those bankable 20-goal and-40 assist totals will rise. Ehlers’ last two seasons of 64 and 60 points are nearly identical to Nylander’s dual 61-point years. 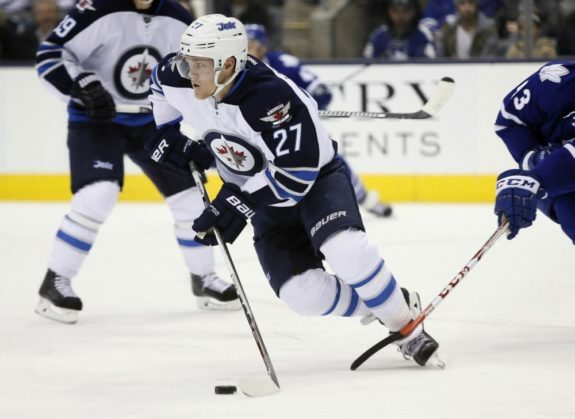 Ehlers signed a seven-year, $42 million deal, with a modified no trade clause in the final three years. 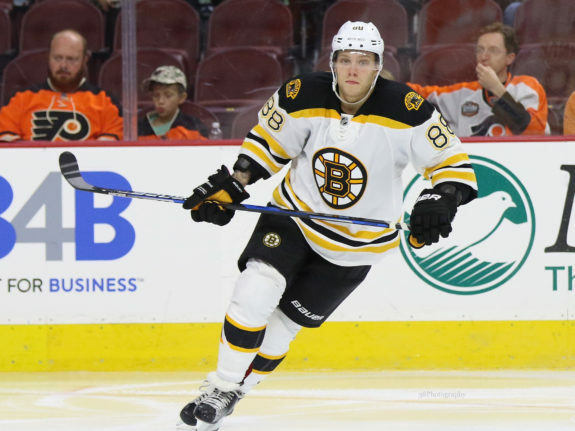 Pastrnak, the same age as Nylander, put up 34 goals and 36 assists for 70 points before inking a six-year, $40 million deal ($6.67 million per annum). 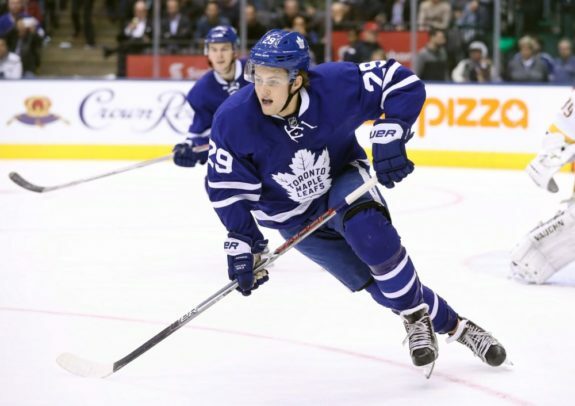 He scores at the high rate of 0.79 points per game compared to Nylander’s rate of 0.72 PPG. Pastrnak achieved his higher scoring rate while playing with Patrice Bergeron and Brad Marchand, arguably the best line in hockey last season. A few weeks ago, Larkin signed his contract: five years at $6.1 million annually. In his 242 career NHL games, he’s scoring at a rate of .57 PPG. Nylander has played 57 fewer games than Larkin but is only five points behind him on the score sheet. Reasonably, Nylander should earn more than Larkin. For Nylander’s camp, he’ll point to Leon Draisaitl, who some believe was overpaid. He successfully transitioned to center and signed a whopping eight-year, $68 million deal. Nylander’s agent will point to the fact that Draisaitl only scored six points more in the two seasons leading to his big contract despite playing substantial power play minutes with two-time and reigning Art Ross and Ted Lindsay Award winner Connor McDavid. The push-back is that Nylander, with both Matthews and Tavares in front of him, won’t ever move to center ice. Plus, committing that kind of coin, long-term, for a winger, is uncommon in the NHL. Dubas would likely benefit more by inking Nylander to a bridge deal. A typical bridge contract is one-to-three years in length following an entry level contract (ELC). When used amicably, it’s an opportunity for the team to become more confident of a player’s ability and the player to establish himself in the league and therefore, to ask for more money when signing a long-term deal that will take him through his prime. No doubt, Dubas wants the bridge deal, not only to manage his budget but to lock up Nylander potentially for his whole career; a three-year ELC plus a two-to-three year bridge deal plus a seven-to-eight year RFA contract. 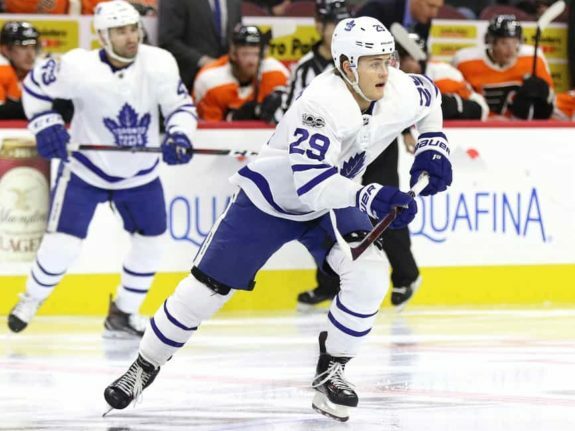 Nylander wants longer term and more money now, feeling as though he has already demonstrated his value. Dubas has to get this contract done in context of a situation in which he will have six RFAs and four UFAs at the end of this season. At the end of next season, Nathan Horton’s contract comes off the books and Patrick Marleau’s contract expires. That will free up $11.55 million that Dubas can allocate to other players. If he can convince Nylander to sign a two-year bridge, Dubas believes he can use that bridge to get to that extra cash and therefore keep his gang together. According to Elliotte Friedman’s 31 Thoughts, Nylander is asking for “near Leon Draisaitl territory” money. 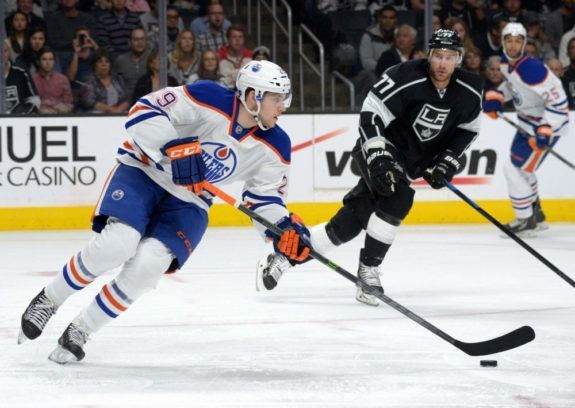 Draisaitl had 128 points over the two seasons before signing. He took 305 shots and had a plus-five rating. Again, Nylander’s numbers – 122 points, 389 shots, plus-17 – favorably compare, especially when considering one is a center and the other a winger. Draisaitl’s numbers are unlikely to rise much considering that he already plays, at times, with McDavid and, when he doesn’t, his linemates are not elite. Because Nylander will spend almost all of his ice time next to Auston Matthews and John Tavares, with Patrick Marleau or Zach Hyman on the other wing, it is almost impossible to imagine that his production won’t substantially increase. Draisaitl has an $8.5 million AAV for eight years. Nylander thinks that would be reasonable for his pact. Especially considering he is more than just half the player that eleven-million-dollar teammate John Tavares is. Another consideration is the track record of Nylander’s agent when dealing with similar salary conflicts. Lewis Gross has not been afraid to have his players hold out. Johnny Gaudreau and Torey Krug were his last clients to hold out, playing the game of chicken at contract time. Dubas, 32, is part of a new breed of young GMs in the League. He’s young enough to be the sons of most GMs. According to Sportsnet, in 2016, the average age of NHL GMs was 53. Age aside, he brings new vision, fresh thinking and a youthful perspective to the office. That’s all well and good, but right now, he needs to solve a business problem staring him in the face. Conventional wisdom and common sense say he’s not making progress. Dubas will be unable to keep his band of young guns together. Leafs Nation shouldn’t worry too much, though. The team’s lineup without Nylander will still likely make the playoffs. They’re deep offensively and can outscore most teams on most nights. However, the reality is, having Nylander in the lineup makes the Leafs better. Usually, in a situation in which the team wants to keep the player and the player wants to play for the team, a compromise is struck. It is understood that the player will shoot for about 25% more than the value he has demonstrated. The team will undersell that player’s contribution by that same 25%. There is some back and forth, sometimes behind closed doors, sometimes in the media. Sometimes both. In the end, generally, they reach a happy medium, splitting the difference between the two numbers. In fact, the overwhelming majority of arbitration cases get solved in this fashion before actually appearing before an arbitrator. The case in Toronto is not a normal one. 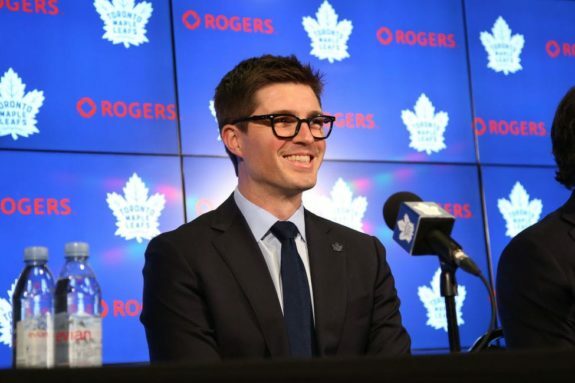 Dubas has the task of having to have every contract set just so, like a series of dominos that he has lined up with the last one falling into Lord Stanley’s Cup. If just one deal doesn’t fall correctly within his plan, especially one of the larger ones, the path to the Cup will be interrupted. Nylander’s deal will directly influence Marner’s next contract. Just as Tavares’ deal influences Matthews’ next contract. The team’s contracts are not only connected in a linear way like dominos but interconnected like a spider web. Without Nylander, the Leafs’ top-12 forwards are under contract for this season (actually 14 players–including Nathan Horton who will not return from LTIR and Phil Kessel’s retained salary), representing $33.2 million. Because the accounting becomes tricky when a player is on LTIR, for the sake of example and argument, our math omits Nathan Horton’s $5.4 million contract. Currently, Dubas is paying the Leaf forward corps just shy of 42% of the $79.5 million salary cap. There is plenty of money for Nylander this year. The problem starts next year but must be solved this year. Auston Matthews is the current and future leader of the blue and white. Considering his peers, and the fact the man behind him on the depth chart gets $11 million per year, he’s going to demand at least $11.25 million. Mitch Marner’s contract will likely command about $9 million per year. If Josh Leivo, Par Lindholm, Kasperi Kapanen, Tyler Ennis and Andreas Johnsson are to be kept, their contracts can conservatively be estimated as rising from a combined $5 million to at least $7 million. It is possible but very unlikely that these spots’ salaries do not rise as they are filled with Marlies moving up to the big club or veterans–like Ennis–who will be squeezing out their last bits of talent–like toothpaste out of a spent tube. Added up, the Leafs’ payroll for next year allocated to their forwards will total a whopping $54.6 million. If the league salary cap continues to rise at the pace it has been on, the 2019-20 cap will grow to $81.5 million. Excluding Nylander, that $54.6 million eats up over 67% of the available payroll. Even if Dubas manages to sign Nylander on a deal, bridge or long-term, at $6 million annually, the numbers become staggering: $60.6 million for the forwards, gobbling 74.4% of the cap. This forward payroll is unworkable on two fronts. First, there are the other existing contracts. The Leafs have four blue-liners and one goalie signed for an aggregate of $16 million for next season. The sum of the forwards’ $60.6 million, plus this $16 million, is $76.6 million. Even with Nylander signed at Dubas’ desired $6 million, that leaves only $4.9 million to pay a backup goalie and five defensemen. It can be done financially, but this roster would have as many as ten players on ELC-level money. This situation dictates that Jake Gardiner, Ron Hainsey, and Connor Carrick could not be re-signed. The chance that such a team could be successful on the ice is remote. Second, teams going over 60% on forwards typically are unbalanced and therefore, although making the playoffs, cannot compete on a sustainable basis. Balanced spending by the GMs allows for the required talent throughout a team’s entire roster. For example, the last two Cup winners, the Washington Capitals and Pittsburgh Penguins, used between 59 and 60% of the cap on their forwards. In fact, of the teams who played in the final series for the Cup over the last three years, only one of the six squads (Pittsburgh in 2015-2016) paid their forwards more than 60% of the cap. “I still have the same level of confidence that we can accomplish what we set out to do." With the regular season starting at home versus the Montreal Canadiens fewer than two weeks away, Dubas has his back up against the wall. It is doubtful that he will be able to sign William Nylander to a contract of any kind that won’t put his budget for the next few years in jeopardy. As every day goes by, it’s more apparent that he can’t and he won’t.